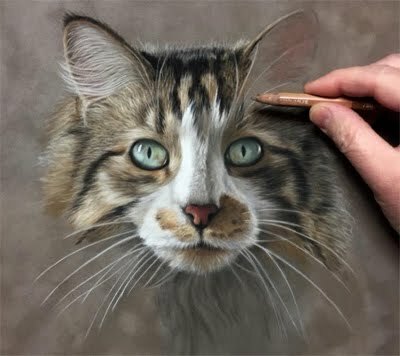 This long haired cat has a beautiful tortoiseshell coat which was very fun to draw. Aptly named "Two-Face", it's easy to see why. 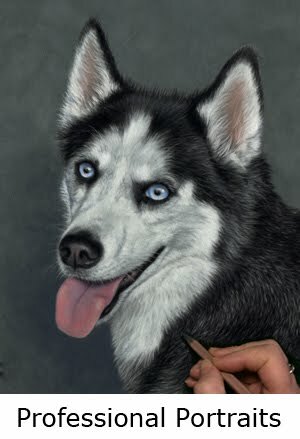 This is one of two portraits I am creating for a client. Nice work, Colette! You're very productive lately! Thanks Peter; producing for clients is always a good thing! Hilda, you are so kind; thanks so very much! What beautiful eyes, and a strange color for a tortie. I adore torties! Had a gorgeous long-haired one several years ago. She has since died. I've told my husband if I ever see another long-haired tortie, it's coming home with me, so expect it! Lol! 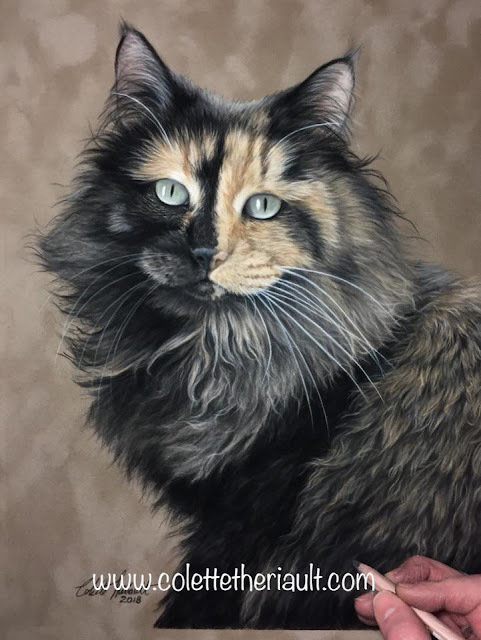 You did a wonderful job on this sweet cat Colette! Client should be thrilled to tears! What a beautiful cat and your portrait is quite stunning. I love her.